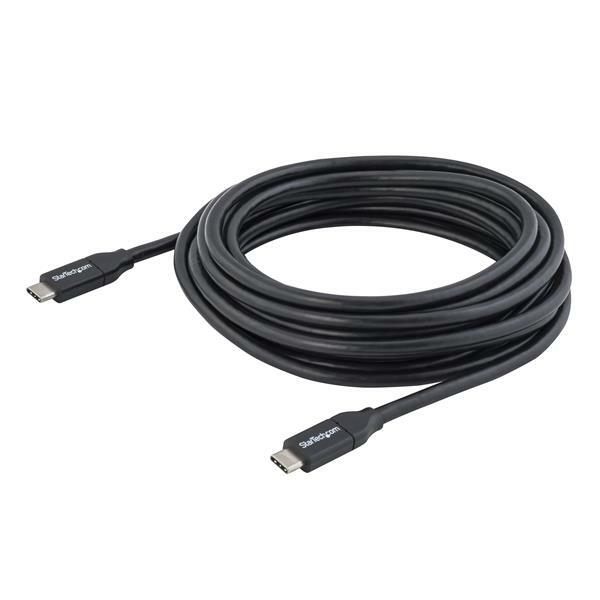 This USB-C™ cable with USB Power Delivery lets you power USB Type-C™ devices from your USB-C laptop or charge your USB-C laptop from a USB-C wall charger. With up to 5A (100W) of power output, you can use this USB Type-C cable to power and charge a USB-C laptop, such as your Apple MacBook or Chromebook Pixel™, using a USB-C wall charger, car charger or power bank. Or, you can power your laptop from a USB-C docking station. The 5A of power delivery lets you charge your mobile devices faster than with a regular USB-C 2.0 cable. The cable is perfect for people on the move - decrease your charge times and make sure your mobile devices are ready, whenever you need them, while you’re on the road. The non-standard 4-meter cable gives you the extra length you need to overcome distance restrictions and stay connected. You can charge and sync your USB-C mobile device, in almost any environment. Even while you’re taking notes in a boardroom, catching up on emails in your hotel room, or reading in a coffee shop, the connection to your mobile device will reach your computer or wall charger more comfortably. 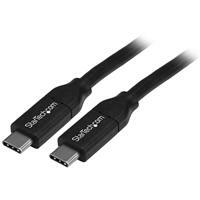 The USB2C5C4M from StarTech.com is backed by a 2-year warranty for guaranteed reliability.